In the 19th and early 20th century, Russia was the world market leader in colored and precious stones. Ural was heralded for its gems, including malachite, rhodonite, emerald, demantoid, alexandrite, topaz, tourmaline, amethyst, and rock crystal. Since then, the Urals has remained one of the main suppliers of raw materials for the jewelry industry in Russia. 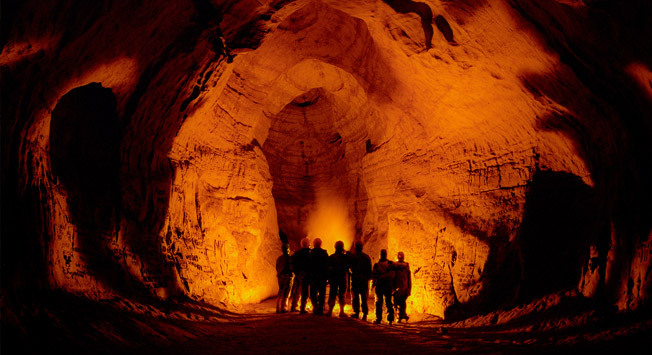 In our review, we present the 5 most interesting sites for geological tourism. At the "Russian gold homeland" in Berezovsky, 15 km away from Yekaterinburg, the so-called "yellow devil" was discovered 150 years earlier than the famed Jack London Klondike. Moreover, the world's first gold rush occurred in the early 19th century, here in the Urals. Here, one can find the oldest active gold mine in the world, and the Berezovsky Gold Deposit has been contributing to the country’s treasury for more than 260 years. In the summer, tourists are invited to try their luck themselves in discovering the secrets of the prospector’s trade, by gold panning to find “fools gold" or pyrite. In Berezovsky there are two Gold Museums – one private and one public. At the exhibition, one can find the miners’ professional attributes, well-known for more than a century, view charts displaying gold wares from the mid-19th century, and see the rich collection of minerals and samples of gold-bearing rocks. Then, after going through proper safety procedures, one can descend into the training mine. Travelers/thrill-seekers can take the plunge into the authentic North mine to a depth of 512 meters. The unique emerald-beryllium deposit near the Malyshevo village, 50-60 km from Yekaterinburg, is the largest in Russia and Europe and one of the three largest in the world, after the Brazilian and Colombian emerald deposits. Some say that here in the Urals, in the Riphaeus mountains, "Scythian" emeralds were once mined. Although in international practice the tours are conducted mainly at sites that have already been mined, with only 50-60 percent of the Urals having been mined thus far. Tourists usually check out where the first emerald was found, walk around the quarry observation deck, and pass through the diamond-cutting workshop for a master class in working gems. And most importantly, the tourists themselves, armed with pickaxes, can extract their own sample at the legendary Mariinsky deposit mine dumps. There is a real chance of accidentally finding here not only beryl, but also emeralds and alexandrite. This is due to the technology of extracting emeralds from the parent rock. Perhaps that is why the mine dumps are also known as the "field of wonders” or "field of fools.” Of course, the law permits visitors to search only for gems approved for export, including: beryl, fluorite, quartz, actinolite, tourmaline, feldspar, biotite and muscovite. However, foreign prospectors must obtain permission from the Russian Federal Mass Communications Oversight and Cultural Heritage Protection Service for their export. Rezh is the geographical center of the Urals Jewel Belt. The most amazing place here is the natural mineralogical reserve designed to protect more than 60 vintage and modern mineralogical mines. Lying concealed in the bowels of the earth are smoky quartz, fuchsia, lemon, opal, agate, beryl, chalcedony, amethyst, topaz, emerald, tourmaline, and other gems. There are also two museums and a picturesque pond. In the vicinity, one can visit “Proboyny Kluch”, a spring known since the mid-17th century. According to legend, this outflow was created after a lightning strike. Russia’s diamond-cutting and stone-cutting trade originated in Murzinka. The Murzinska Jewel Belt, located in the northeast area of the Middle Urals, is the largest aggregate of precious stones. In total, it comprises 70 mines. Here one can find beryl, topaz, tourmaline, amethyst, morion (smoky quartz), cordierite, corundum, ruby, aquamarine, garnet, and rhinestone. Travelers usually come here to see vintage semi-precious mines such as the amethyst mines, for example. They also visit the Fersman mineralogical museum, which houses almost every kind of Uralic gem. You can also wash the rock, and, if you are lucky, you might find valuable minerals. The Asbestos Quarry is the largest in Europe, and it looks more like a huge mystical lunar crater than an industrial facility. Even its train cars look quite toyish. It arose out of the merger of two old quarries. Now it has a total length of 11 km and a depth of 350 m. The Bazhenov deposit of chrysotile asbestos mined here is the largest in the world. Uralic asbestos is famous for its unique fiber makeup. Incidentally, asbestos is the only stone from which rope can be woven. One can collect samples of this unique stone at the mine dumps.